This is how African American genealogy moves forward: slowly, methodically. When I moved to Columbia, South Carolina in 2005, I came across Lowry Ware’s name among the library book shelves at Richland Library. I looked for what I could find there on Beverly Vance (1832-1899), and I found the person who was his half brother and former slave owner. I found several books written by Lowry Ware and others. I learned early on that researching Beverly would be very hard on me emotionally. 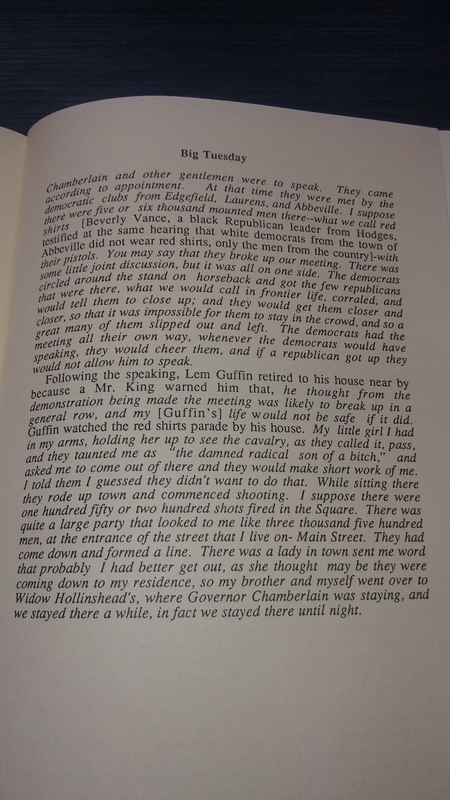 It involved reading books by Lowry Ware and others that were well spoken of except the formerly enslaved like Beverly. Until I became well known as a genealogist, a person like Beverly Vance was just a former enslaved person. He was not the constable of Abbeville or progenitor of Rev. Lafayette Franklin Vance (1861-1952), my great grandfather. This was just an important figure to me in my life. My ancestral line were the heroes of these books. 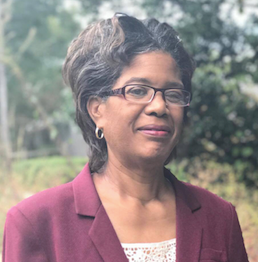 I moved to Greenwood, Greenwood County, South Carolina in 2013, and from then until 2016 I researched at Greenwood County Library and Abbeville County Library. Every piece of the puzzle from community involvement, to resources in cemeteries, county archives, to funeral homes I have to put together. I have a lot, but there’s still more. I do not live in Greenwood anymore. I would have to travel back. 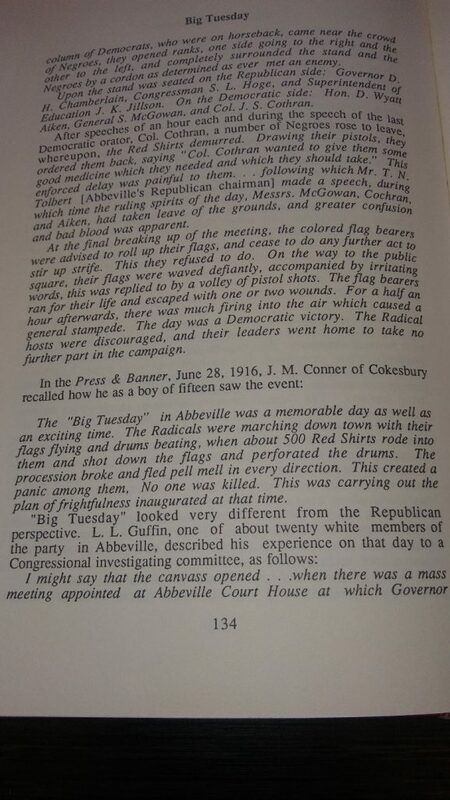 Lowry Ware, a native of Abbeville County, South Carolina, taught at Erskine College. For the first time, I wanted to try to find resources at the Larry A. Jackson Library at Lander University. I found Census of Abbeville Village and Abbeville Voter List May 1885, compiled by Lowry Ware that I shared last week in “Voters in the Town of Abbeville, SC in 1885 and 1893.” I had never researched here before. 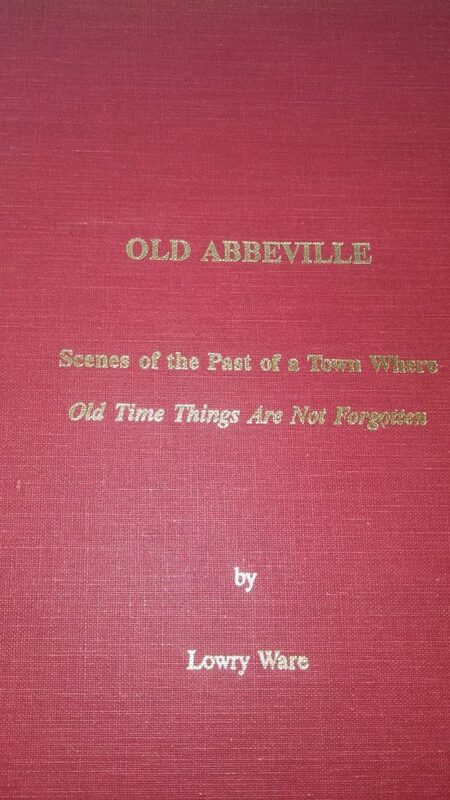 As I looked around I also saw Old Abbeville: Scenes of the Past of a Town Where Old Time Things Are Not Forgotten. 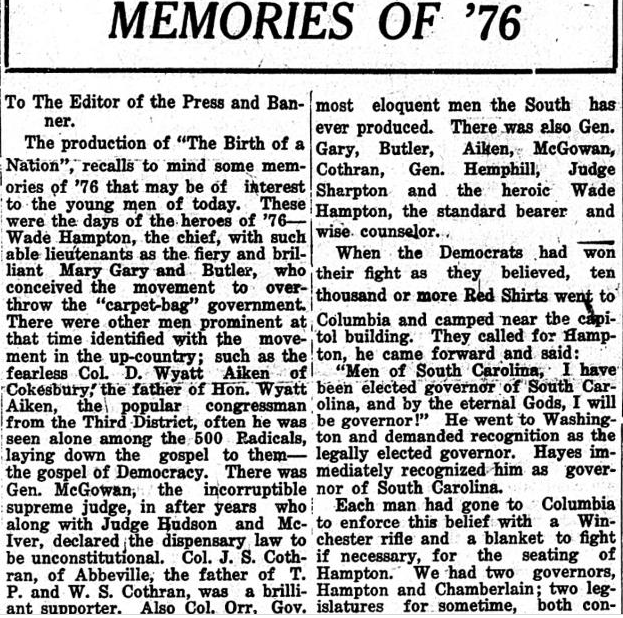 The production of “The Birth of a Nation” brought back the memories of Big Tuesday, and it was printed in the Press and Banner on June 28, 1916. Col D. Wyatt Aiken was seen among the 500 Radicals “laying down the gospel to them.” He lived near Beverly Vance, and he was known to threaten him. He was a friend and neighbor of J. K. Vance. As I just try to research my 2nd great grandfather, Beverly Vance (1832-1899), I must trudge through the unfortunate mess that surrounds him. I have to take breaks to let it all sink in and remain calm. I just want to discover where he was buried. The more I find, the more I want to know where he rests. Can you relate? Please share in our Facebook group. Ware, Lowry. 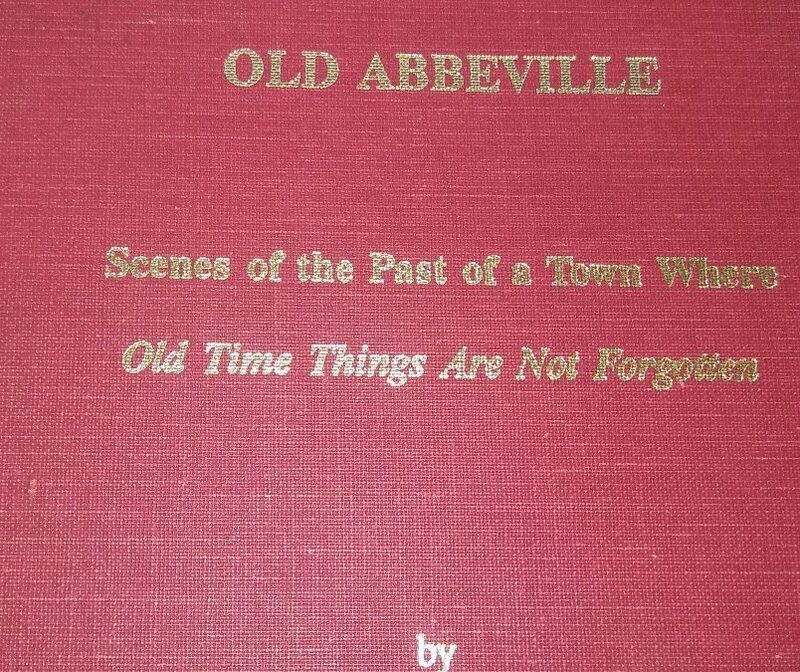 c. 1992 Old Abbeville: Scenes of a Town Where Old Times Things Are Not Forgotten. Columbia, SC, SCMAR.